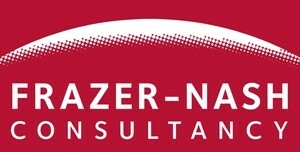 Frazer-Nash Consultancy is a world class systems and engineering technology organisation, with an engineering pedigree reaching back into the early part of the 20th century. We are one of the UK’s biggest providers of systems and engineering technology support with Engineers based in Bristol, Burton-on-Trent, Dorchester, Dorking, Glasgow, Plymouth, Warrington and Adelaide Australia. We provide independent, impartial advice to our customers in the defence, nuclear, power & energy, civil aerospace, rail, marine, petrochemical and industrial sectors. As a result of this multi industry sector experience, we are well placed to use best practice to solve novel and complex problems within the rail industry. We have many years of experience in providing support to leading companies in the railway industry who have benefited from our safety engineering, design, analysis, project management and simulation expertise to improve the performance, safety and reliability of their vehicles and infrastructure. Our style is to combine a pragmatic, hands-on approach to problem solving, supported by advanced analytical engineering assessment techniques. We offer an extensive portfolio of project management, design, engineering, simulation and assessment services and deliver innovative solutions to clients’ projects.